Today is the last day of BBC Showcase, an annual event that sees around 700 programme buyers from around the world descend on Liverpool in the UK to view and potentially acquire BBC Worldwide (BBCWW)-distributed content. At this year’s event, BBCWW has had a lot of its success with crime drama, selling around 900 hours of programming to markets including Europe, the Middle East and Japan. It’s a reminder that the Nordic nations aren’t the only ones capable of producing compelling noir. The fact that the UK does so well is a testament to the quality of TV crime writing in the country, so this week we’ll take a look at some of the talent driving the international hit machine. Luther, which stars Idris Elba as DCI John Luther, was acquired by German public broadcaster ZDF, Star India and also by platforms in South Korea and Africa. The fourth series, which aired in the UK during December 2015, consisted of two feature-length episodes. 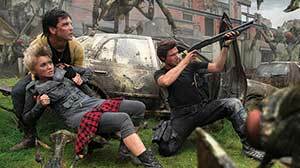 What it lacked in volume, it made up for in ratings, with the two episodes attracting around 7.5 to eight million viewers. All 16 episodes of Luther have been written by New Zealand-based Neil Cross, who has also written episodes of Doctor Who for the BBC. Cross has also been commissioned by the BBC to write Hard Sun, a six-part apocalyptic crime drama set in contemporary London. The Inspector Lynley Mysteries was also picked up by ZDF for its ZDFneo channel. Originally broadcast from 2001 to 2008, the series (based on the novels by Elizabeth George) has proved a decent performer on the international market. In the US, for example, all 23 episodes have aired on PBS. Several scribes have written episodes, including Pete Jukes, Simon Block, Lizzie Mickery, Valerie Windsor, Kate Wood, Francesca Brill, Valerie Windsor, Ann-marie di Mambro, Kevin Clarke, Simon Booker, Julian Simpson, Mark Grieg and Ed Whitmore. Whitmore also wrote a large number of episodes for fellow long-running BBC crime drama Waking the Dead. His other credits include Silent Witness (which was also picked up by TV4 Sweden at Showcase), Arthur & George and Identity, an ITV production that was subsequently sold as a format to ABC in the US. Whitmore also has a couple of episodes of CSI to his name. Happy Valley season two, was picked up by French PayTV broadcaster Canal+ (which also acquired the fourth season of Luther). The show’s first run was a strong seller overseas and there’s no reason to suppose the new outing will fare any less well. The show is produced by Red Production Company and written by Sally Wainwright. Wainwright also created Scott & Bailey, another popular female-led crime series that has been airing since 2011 on ITV. Prey is broadcast by ITV in the UK but is distributed internationally by BBCWW. The first batch of three episodes aired in 2014 and starred John Simm, while a second run of three aired in late 2015 and starred Philip Glenister. The latter has just been sold to broadcasters including NRK Norway, YLE Finland and Canal+. Prey was created by Chris Lunt, who wrote all six episodes. 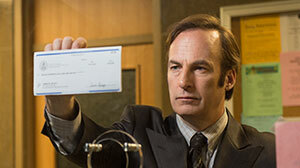 Lunt’s success is a reminder that it’s never too late to break into the TV writing business. After 10 years of knocking on doors and pitching more than 80 projects, Lunt finally got his break at age 43. Media reports suggest he is also working on a modern-day adaptation of The Saint with the aforementioned Ed Whitmore. Sherlock, created by Mark Gatiss and Steven Moffat, has sold very well around the world since it debuted in 2010. At the start of this year, Gatiss and Moffat created one-off special The Abominable Bride, in which much of the action took place in the Victorian era (though a scriptwriting sleight of hand meant the story was actually linked back to the contemporary setting of the series). Broadcasters that picked up the special at Showcase include Degeto (Germany), SVT Sweden, Czech Television and Channel One in Russia. A fourth series of Sherlock is on the way in 2017, with stories for a fifth season also sketched out by Gatiss and Moffat. 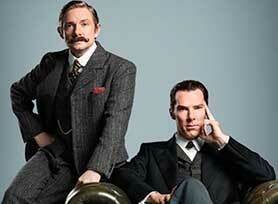 The show is very slow to come to market because of the busy schedules of Gatiss, Moffat and the lead cast members. 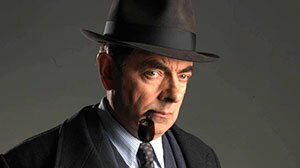 Maigret, based on the books by Georges Simenon, is a new ITV series starring Rowan Atkinson (Blackadder, Mr Bean). At Showcase it was picked up by Germany’s Degeto, which also acquired Sherlock: The Abominable Bride. The writer on this one is the experienced Stewart Harcourt, whose other credits include Agatha Raisin: The Quiche of Death, Love & Marriage, Treasure Island, Inspector George Gently, Poirot and Marple. So if anyone can handle a book-based period detective story, it’s Harcourt. Death In Paradise was part of a package of 232 hours of crime drama sold to SVT in Sweden. Produced by Red Planet Pictures, the show has also been given the greenlight for a sixth series this week by Charlotte Moore, controller of BBC1, and Polly Hill, controller of BBC drama commissioning. All told, that will mean there are 48 episodes, which is a good number for the international market. Maybe that explains why it has sold to 237 territories worldwide including China, South Africa, the US and the Caribbean countries close to where the show is set and filmed. Echoing some of the other BBC dramas, Death In Paradise is written by a number of people. But the best-known name is series creator Robert Thorogood, who came to Red Planet’s attention via its scriptwriting competition. Father Brown is based on the books by GK Chesterton and perfectly fits into the British tradition of eccentric or unusual amateur sleuths. The central character, played by Mark Williams, is a Roman Catholic priest. 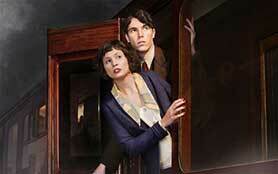 Unusually for a British drama, the 1950s-set show is already up to 45 episodes after just four series. At Showcase it was picked up by PBC (PTV) in South Korea and ABC Australia. Given the high number of episodes, it’s no surprise Father Brown is an ensemble-written afffair, with credited writers including Tahsin Guner, Rachel Flowerday, Nicola Wilson, Rebecca Wojciechowski, Jude Tindall Dan Muirden, Lol Fletcher, Paul Matthew Thompson, Dominique Moloney, David Semple, Rob Kinsman, Stephen McAteer, Jonathan Neil, Kit Lambert and Al Smith. Particularly prominent has been Guner, who wrote the very first episode and the last one in series four (among others). Repped by David Higham Associates, Guner was selected for the 2009/10 BBC Writers Academy and has written scripts for dramas including Holby, Casualty and New Tricks. He is currently developing original drama series Borders. Ripper Street was licensed this week to Multichoice VoD service Showmax. The show, which was famously saved by a financial injection from Amazon, is a period crime drama set in Victorian England. With four series of Ripper Street already produced and released, Amazon has already committed itself to a fifth season – taking the total number of episodes above 30. Another team effort, the key writer name attached to this is creator Richard Warlow, who tends to deliver about half of the episodes in each series. Warlow’s previous writing credits include Waking the Dead and Mistresses. Other writers on the show have included Toby Finlay (Peaky Blinders) and Rachel Bennette (Lark Rise to Candleford, Lewis and Liberty). The Coroner is a daytime drama series about a solicitor who takes over as a coroner in the South Devon coastal town she left as a teenager. 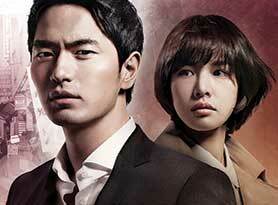 At Showcase it sold to AXN Mystery in Japan and Prime in New Zealand. The show was created by Sally Abbott, who also wrote three episodes of the first series. There’s a good blog from Abbott about how she got her break in the business here. 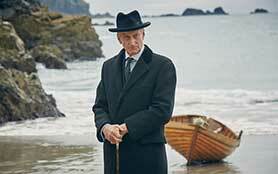 UK TV audiences enjoyed some great drama over the Christmas period. But while all the major broadcasters offered something of interest, the BBC’s scripted output was simply outstanding. A key reason for this is the corporation’s excellent relationship with writing talent. The Sherlock Christmas Special’s slightly warped view of the suffragette movement may have had its critics, but the episode – titled The Abominable Bride – was still a brilliantly written piece of TV from Steven Moffat and Mark Gatiss that was watched by 8.4 million viewers. Equally enjoyable were the opening episodes of Andrew Davies’s adaptation of Tolstoy’s War & Peace and Sarah Phelps’ take on Agatha Christie’s And Then There Were None. 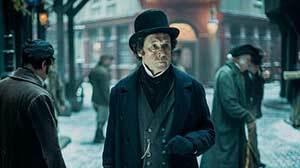 And not to be overlooked is Tony Jordan’s Dickensian, an inspired piece of TV that I watched out of idle curiosity and which thus far has more than exceeded my modest expectations. See this Telegraph review for a good summary. The strength of the BBC’s Christmas drama slate won’t have come as a surprise to those who have been following the broadcaster’s scripted output over the last year or two. Among numerous highlights have been Wolf Hall (adapted from the Hilary Mantel novel by Peter Straughan), The Honourable Woman (written by Hugo Blick), Banished (Jimmy McGovern), Happy Valley (Sally Wainwright) and Doctor Foster (Mike Bartlett). In each case, it has been the quality of the writing that has really shone through. Also recalled for 2016 is Bartlett, whose Doctor Foster was the top-rated UK drama of 2015. With Bartlett already committed to writing a follow-up series, Hill revealed the writer will also be writing a six-hour serial called Press for BBC1. Press is set in the fast-changing world of newspapers. One writer joining the BBC fold for the first time is Pulitzer Prize and Academy Award-nominated screenwriter/playwright Kenneth Lonergan, who has been tasked with adapting EM Forster’s Howards End for BBC1. “I’m very proud to have been entrusted with this adaptation of Howards End,” he said. “The book belongs to millions of readers past and present; I only have the nerve to take it on at all because of the bottomless wealth and availability of its ideas, the richness of its characters and the imperishable strain of humanity running through every scene. The show is being produced by Playground Entertainment, City Entertainment and KippSter Entertainment for the BBC. Rights to use the original novel as source material for the miniseries were acquired from Jonathan Sissons at Peters, Fraser & Dunlop, on behalf of the Forster estate. Equally exciting is the prospect of Wilkie Collins’s Woman in White coming to BBC1. Made by Origin Pictures with BBC Northern Ireland Drama, the four-part adaptation will be written by Fiona Seres, who wrote a new version of The Lady Vanishes for BBC1 in 2013. Other writers lined up include Joe Ahearne (for The Replacement), Conor McPherson (for Paula) and Kris Mrksa (Requiem). The decision to work with Mrksa, best known for titles such as The Slap and Underbelly, is interesting because he is Australian. Right now, that would probably be true for any TV writer. Few people would be surprised to learn that Vince Gilligan (Breaking Bad) and Game of Thrones duo David Benioff and DB Weiss were nominated in last year’s Emmys for Outstanding Writing for a Drama Series. But how many of us would know who won without resorting to Google? 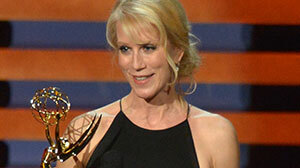 Well, the answer is Moira Walley-Beckett, who became the first solo woman to win in this category since 1994. Ironically, perhaps, Walley-Beckett won for a Breaking Bad episode called Ozymandias, thus beating Gilligan. Part of the challenge with projects like Flesh and Bone is ensuring the dance sequences look real – a bit like trying to write a script about footballers or stand-up comedians. Recognising this, Walley-Beckett made heavy use of real-life accomplished dancers. The Flesh and Bone trailer suggests the show will further enhance Walley-Beckett’s credentials, so it will be interesting to see what direction she heads in next. While the Writing for a Drama Series Emmy category was dominated by US talent last year, Writing for a Miniseries, Movie or Dramatic Special resulted in a win for British scribe Steven Moffat. His work on Sherlock: His Last Vow trumped rivals on titles such as American Horror Story, Fargo, Luther, The Normal Heart and Treme. 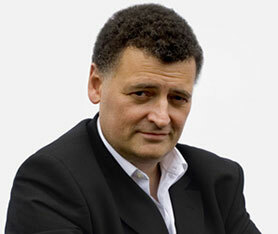 When not working on series four of Sherlock (due in 2016), Moffat’s remaining time is largely taken up with Doctor Who, which will return for series nine later this year. 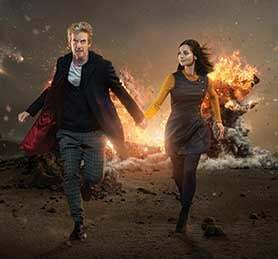 Although Moffat shares screenwriting duties on Doctor Who with a number of others, he has already confirmed that he is writing the first two episodes of the new series, a double-header. Titles for his episodes are The Magician’s Apprentice and The Witch’s Familiar. The other Emmy-winning writer last year was comedian Louis CK, whose sitcom Louie secured him the Writing for a Comedy Series award. That’s quite an achievement when you see that he was up against writers from Episodes, Orange is the New Black, Silicon Valley and Veep. However, it’s not the first time CK has picked up this award, having previously won it in 2012. Louie, which airs on FX, is an unusual show that combines stand-up and scripted comedy, often involving special guest stars. Echoing the earlier observation about Flesh and Bone, it manages to pull this off because CK is a genuine stand-up, not an actor pretending to be one. This blurring of genres is exacerbated by the fact that the show doesn’t always feel like a comedy. Its slow pacing and lack of rapid-fire gags make it much more like an indie film than a traditional sitcom, with some comparing Louie to Woody Allen’s work. This was certainly the case with So did the Fat Lady, the episode that won CK his 2014 Emmy. The last section of that episode was a poignant insight into the psychology of dating that barely resorted to jokes. 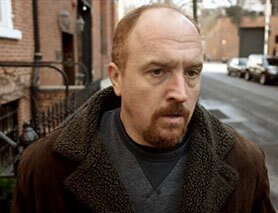 The recent fifth season of Louie finished on May 28, taking the total number of episodes to 61. There have been no announcements yet about the possibility of a sixth run. 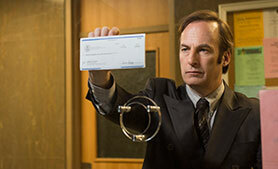 But alongside his commitment to this franchise, CK also has a deal to create new comedy series for FX. This has led to a greenlight for Baskets, a 10-part comedy that CK is co-writing with Zach Galifianakis. The series, which will also star Galifianakis, is scheduled to air on FX during 2016. It tells the story of Chip Baskets as he haphazardly pursues his dream of becoming a professional clown. The Emmys, it should be noted, have a slightly less well-known sibling called The International Emmys which, as the name suggests, are for shows from outside the US. The International Emmys don’t have a specific award for writers, but 2014’s winner Utopia owed a lot to the unique voice of Dennis Kelly, who created and wrote the show. Kelly’s work to date has mostly been for theatre – with his best-known project being Matilda the Musical, co-written with musical comedian Tim Minchin. However, he also co-wrote sitcom Pulling for BBC3 with Sharon Horgan and, more recently, wrote Black Sea, a Kevin Macdonald film starring Jude Law. There’s no word yet on what Kelly’s next screen project might be, but Utopia is set to get a new lease of life in the US. HBO, no less, has ordered a US version that will be directed by David Fincher (Se7en) and written by Gillian Flynn, who worked together on the film version of the latter’s novel Gone Girl. All it needs now is for Scarlett Johansson and Carey Mulligan to sign up as stars and it would be the coolest conspiracy drama in the history of Hollywood. And finally, C21’s Drama Summit has started revealing the identities of this year’s speakers. One standout session will see writer Stephen Poliakoff examine his present and past work and discuss the challenge of writing drama in the 21st century. Poliakoff started his career as a playwright, coming to prominence in the 1970s. While he still writes the occasional work for the stage, the balance of his output has moved much more towards film and TV in recent years. Among his best-known works (all for the BBC in the UK) are Perfect Strangers, The Lost Prince and Dancing on the Edge, which was nominated for three Golden Globes, winning one. His latest project, which he will discuss at the Drama Summit, is Close to the Enemy. A six-part series for BBC2, Close to the Enemy is a Cold War drama set in a bomb-damaged London hotel in the aftermath of the Second World War. It stars Jim Sturgess (One Day) as an intelligence officer trying to persuade a captured German scientist to work for the British RAF on developing a jet engine. The production is being shot in London and Liverpool with planned transmission in 2016 on BBC2. International rights are with All3Media International.